A critical step for any business trying to rank locally is to include Google My Business (GMB) in your local SEO strategy. 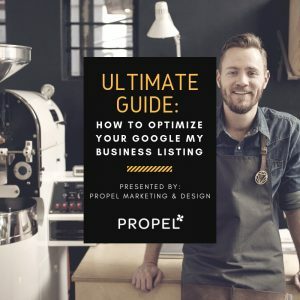 In this post, we’re going over how you can get a step up on your competition by optimizing your Google My Business listing! Listings on Google My Business can only be created for businesses that either have a physical location that customers can visit or that travel to visit customers where they are. You can read the full guidelines here. 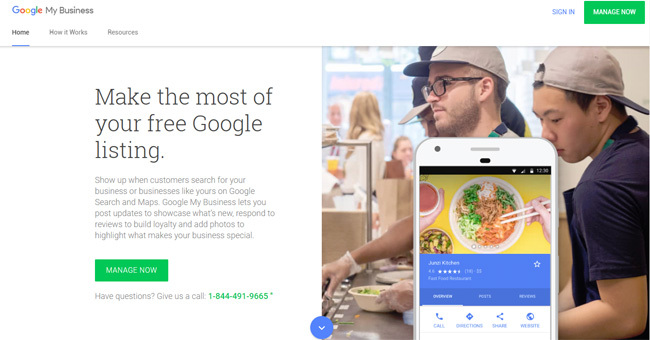 Google My Business or GMB as it’s often referred to is a free tool from our friends at Google. A verified GMB account lets you manage how your business shows up on Google Search and Maps. Grab the Google My Business Ultimate Guide & Checklist. The first step is to claim and verify your Google My Business Listing. Claim your business. Otherwise, you won’t show up on local maps and listings. To get started, go to https://www.google.com/business to claim your listing. Verification helps ensure the accuracy of your business information across Google. Verification also protects you from anyone who might otherwise pose as a representative of your business. Until you’ve completed verification, you won’t be able to edit the business information that appears on Google products. For most businesses, verification means requesting, receiving, and reading a verification postcard from Google. You can read more about verification here. Make sure no duplicate listings exist. It is possible that your employees or an agency your company was previously working with had created multiple Google+ pages for your business. Delete them and take note of your official Google My Business URL. This is where most companies stop. They claim their Google My Business account, add the bare minimum details, and abandon it. You’re not done. Claiming your account is the starting point. Now you need to optimize it. In the rest of this post, we’re going over everything you can do with your GMB account and how to optimize it! As you click through to set up and claim your account, make sure you fill out all the information that Google requests. Make sure that your NAP (Name, Address, and Phone) are up-to-date. One of the first things your customers will notice when searching for your business is your profile picture. Make sure your photos look professional. We’ll dive into pictures in more detail later, but it’s important to note, just how essential they are. A Synup study found: Listings with photos are 2x as likely to be considered reputable and get 35% more clicks. It’s also essential to understand that anyone can “suggest an edit” to your listing. This makes it vital to get your information correct the first time. As you don’t want random people to make changes. You need to periodically log into your Google My Business dashboard to make sure all company details look correct. Not all local businesses serve their customers from a brick-and-mortar storefront. Some companies operate from a home address. Others are mobile and don’t have a storefront that customers visit. If your business doesn’t serve customers at its address, you should list it as a service-area business on Google. Once you’ve verified your address, look at your location on the map and make sure the marker is in the right place. If it’s not in the correct location, log into your Google My Business Account. Then, use the sidebar to find and click on the “Info.” You will see an option to view your listing on either Google Search or Google Maps. Click on “Google Maps,” and you can move the location pin to its correct place. If your Google My Business is not verified, you will not show up in Google Maps. Your Google My Business account has been suspended. 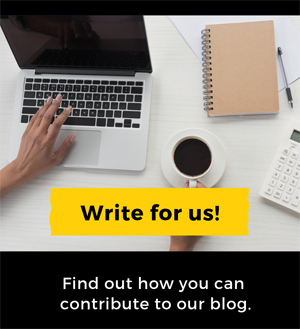 You’re using shared office space. You’re located too far away from the center of the city. Many businesses change their hours throughout the year. Make sure hours currently reflect your operating times. Ask for them. Reach out to happy customers/clients and ask from a review. Pro Tip: Provide them with the direct link (they’ll still need to be logged in to Google). Search for your business on Google (you might have to do this away from your location for the GMB info to show on the right-hand side). Click the reviews section within your GMB information. 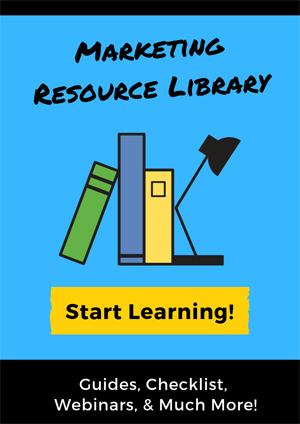 Select the entire URL link at the top and copy it. This link is what you can provide to people. You can shorten the link to make it more presentable by dropping it in a link shortening tool like https://bitly.com/, https://tinyurl.com/, or https://goo.gl/. Remind them. It’s easy for people to forget that you asked them to leave a review. So, send them a friendly reminder. Respond to the reviews (even the negative ones)! You can learn more about business photos here. Photos should be at least 720 pixels wide by 720 pixels tall, and either a JPG or PNG. You can also add videos. The videos uploaded by you will appear under the “By owner” tab, and customer uploaded videos will appear under the “By customer” tab. All videos will appear under the “Video” tab where you can delete any videos. For search and map users, videos will show up the same as photos. Google’s Booking button feature can really help your business stand out from the crowd. If you have a type of business that relies on customers making appointments and you’re using integrated scheduling software, people can now book an appointment with your business directly from your Google My Business listing. Posts are a great way to encourage searchers to click through to your website or encourage searchers to take other actions. Images appear in 4:3 ratios, so make sure your image looks correct. You might need to test out a few images. Only the first 100 characters will display in the knowledge panel, so make them count. Views can ask questions right on your knowledge panel. This is one area business owners overlook. Ask and answer your own questions (I guarantee your competition isn’t doing this). Don’t go overboard with this, but you know the common questions people ask, so post a few questions and answer them from your business account. Oversee the questions and answer them promptly. Set notifications to check on the Q&A section. Be helpful and concise when answering. Don’t type out a novel. Be sure to flag any inappropriate questions or comments. 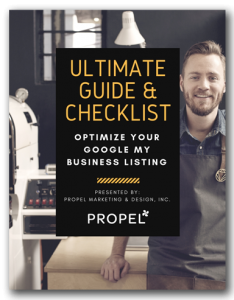 Now that you know the ins-and-outs of GMB make sure you stay on top of your listings. There is a Google My Business app available in both Apple and Android.